Earn over 100,000 points in a single lap. Earn over 1,000 points in a single drift section. Win a race using cockpit mode. Travel in excess of 200mph. Sell a Tuning Setup, Design, or Vinyl Group from your storefront. Forza 3 Credits JTAG Mod! 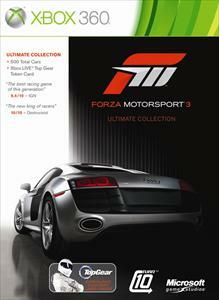 Can i transfer my forza 2 garage to forza 3? “Forza Motorsport 2,” the sequel to Microsoft Game Studios’ award-winning, fully customizable driving simulator “Forza Motorsport,” speeds its way onto Xbox 360 this holiday. With authentic simulation physics, bone-jarring damage, photo-realistic graphics, and licensed tuning and customization options, the franchise improves on the unprecedented fe..
"Crackdown" pushes the action-driving hybrid genre into the next generation with the first ever truly 3-D playground. Gamers will enforce justice by any means necessary in Pacific City, a crime-ridden urban center built to encourage the exploration of the full width, depth and height of the city. 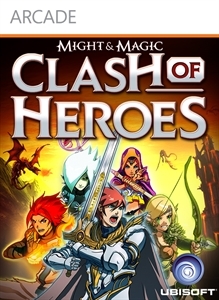 Coupled with highly innovative co-op gamep..
Alternate between exploration and turn-based puzzle battles in an attempt to save the world of Ashan from demonic chaos in Might & Magic: Clash of Heroes. Live the epic adventure of 5 young Her..